Hello, lovely people! I learned from experience that letting others do my hair is not always the best idea. Some people can work with my hair and it is great and some people touch my hair and disturb my balance and my hair goes crazy! I’ve gone back to caring for it myself for the most part! 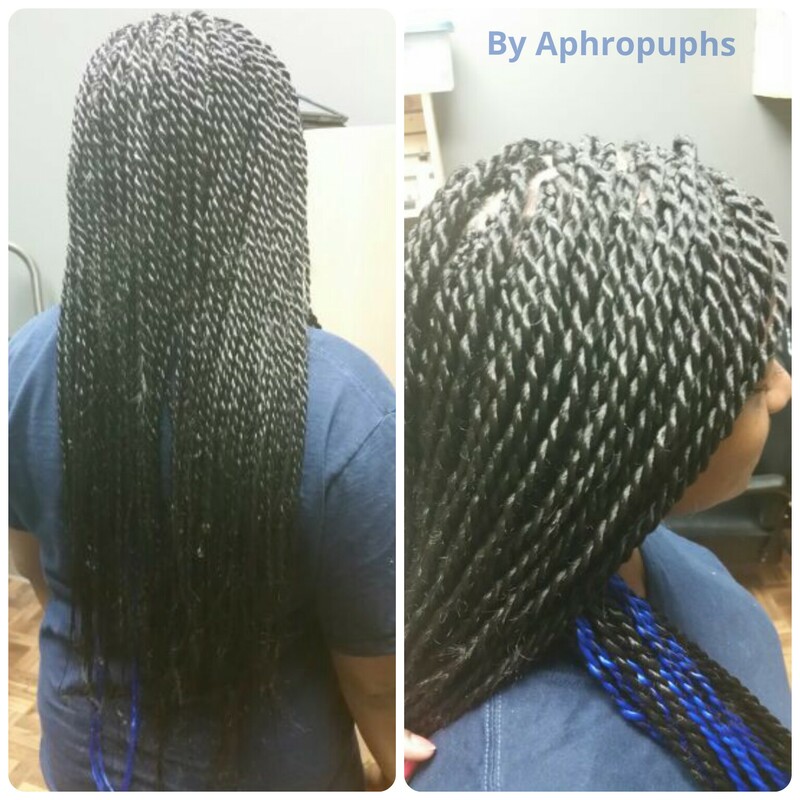 I have been crazy over this deep purple braiding hair for a while now! 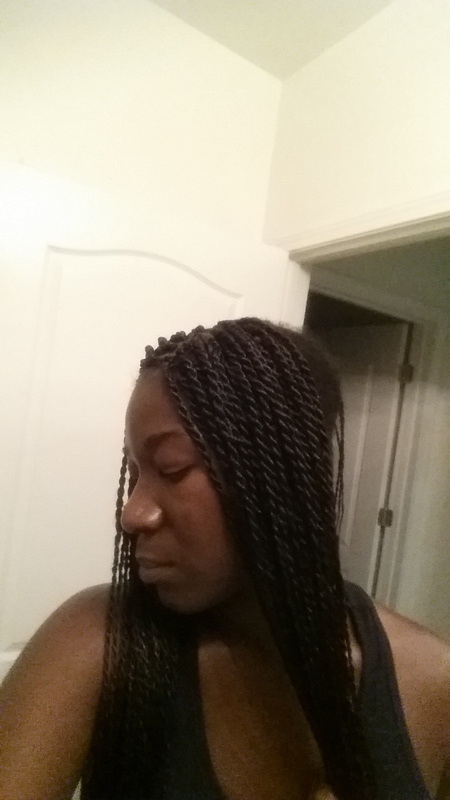 I have don’t braids with it but not twists so I decided to go for Senegalese twists this time. I wanted to do them really small but it didn’t have enough time so I did what I could! It took me 3 sessions along a period of 2 days to complete. All together. It probably took my about 8 to 10 hours. My routine is usually the same. I do the front section 1st, then the very back 2nd and the middle last! 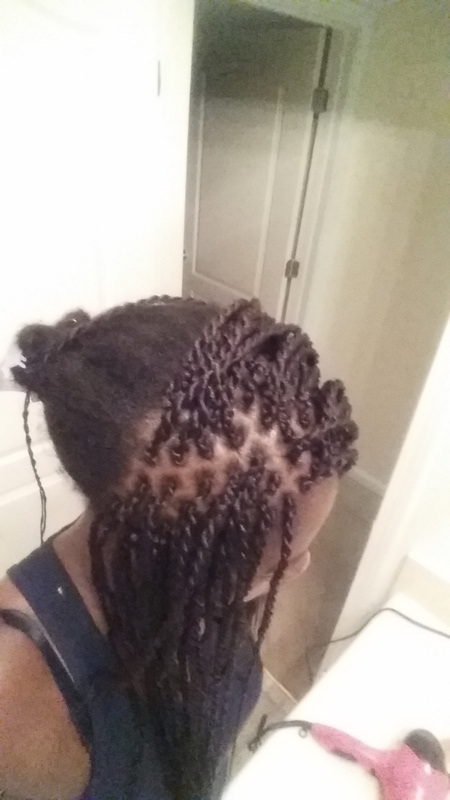 It makes the twists wearable even if I haven’t finished them yet! I wore them out on my birthday and no one could tell I wasn’t finished yet! Ha ha! I prefer to keep them up un a bun but will wear them down more to take the stress off of my edges! I just don’t like the feel of braids or any hair against my skin for extended periods of time! My face is all puffy b/c it was almost 4am when I finished! This style should last me 6 to 8 weeks but I plan on removing them in 4 to 6 weeks to give my hair a break since I’ve been wearing a lot of restrained styles this year. 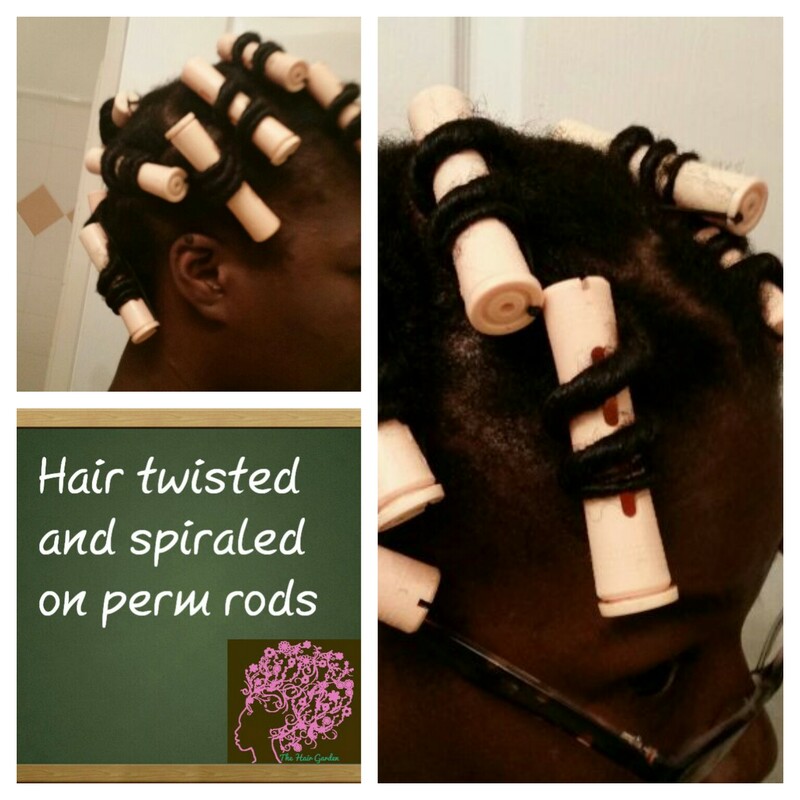 I shampoo the twists weekly and apply a light oil to my scalp and the length of the twists to protect my ends! Hello, lovely people! 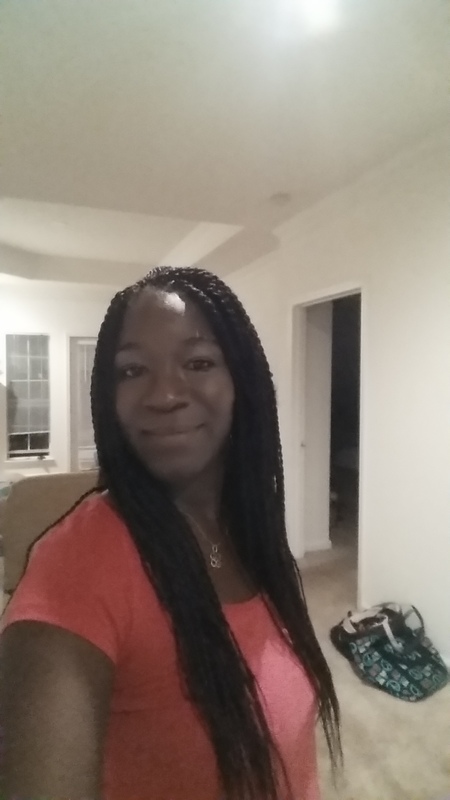 I had been wearing braids and twists for the past 5 months and was happy to finally come out of the extensions and wear my hair! I wanted to experiment with this twisted rod set I saw someone try on pinterest! Yes, here I go with my pinterest finds again! 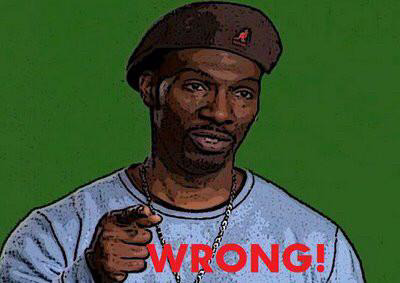 Anyway, the set was called a Bantu knot cheat! Some of you may be familiar with it. This is where they wind the hair as if to do a Bantu knot but that wrap it around a perm rod instead to give more elongation to the curl. 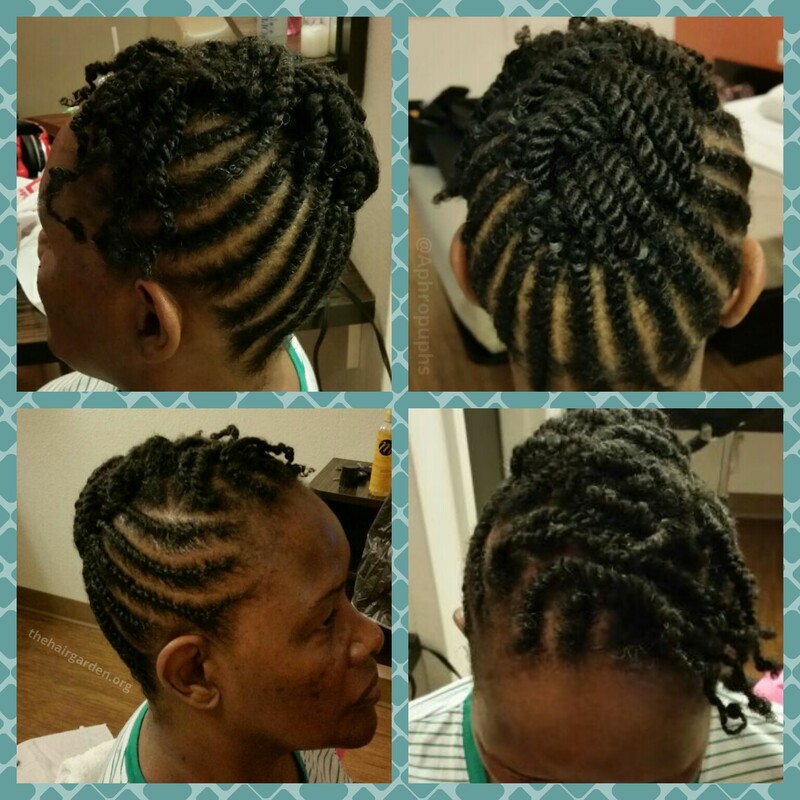 I grabbed my Avocado Shea moisturizer, setting lotion and some EcoStyler gel and began twisting and rodding away! I let it air dry overnight which was about 12 hours of drying time before I sat under a medium heat hooded dryer for an hour to ensure it was completely dry. Also, my hair was 50% dry when I began the rodding process so I could get more fullness. Simple enough, right?! Twist and roll the hair wait for big bouncy gorgeous results, right? The hair was a disaster! I would not even do myself like that and put a photo of this huge fail online. Of all the posts I put out, that would be the one photo that will somehow go viral. Ha Ha! Some parts waved and some parts knotted and some parts were just flat. Never again. I ended up shampooing that out and opting for something simpler. I had things to do in the morning and needed to be presentable. That hair just was not! I believe my problem was that I twisted the hair to far down. I believe the twisting was only meant to be done closer to the scalp area, not towards the ends. I have not been defeated! I will try this look again! In the meantime, I opted for a simpler go-to style that has gotten me out of many hair binds! I make a side part and flat twisted the hair in opposite directions. 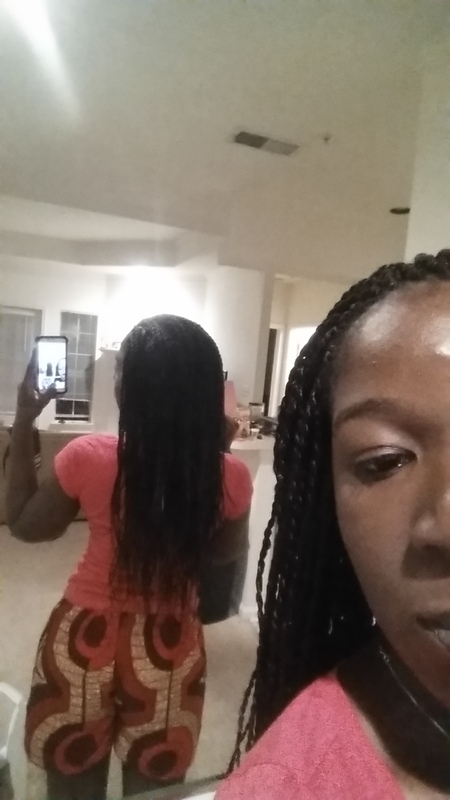 I connected to large 2-strand flat twists on one side and pinned the hanging tail up as well. This is my result! Side note: When I take selfies, I have to hold the camera above my head for my eyes to look open and normal. I The top pic was taken way above my head. The lower ones were taken slightly above eye level. Do other people with small eyes have this problem in pictures? Back to hair! Have you tried this Bantu set cheat that I am talking about? What were your results? Greetings! I just finished a lovely natural hairstyle and I wanted to share it with you all! This style is low-maintenance and versatile. Her hair was moisturized with Hair Garden’s Avocado Shea leave-in to moisturize and detangle during the styling process. 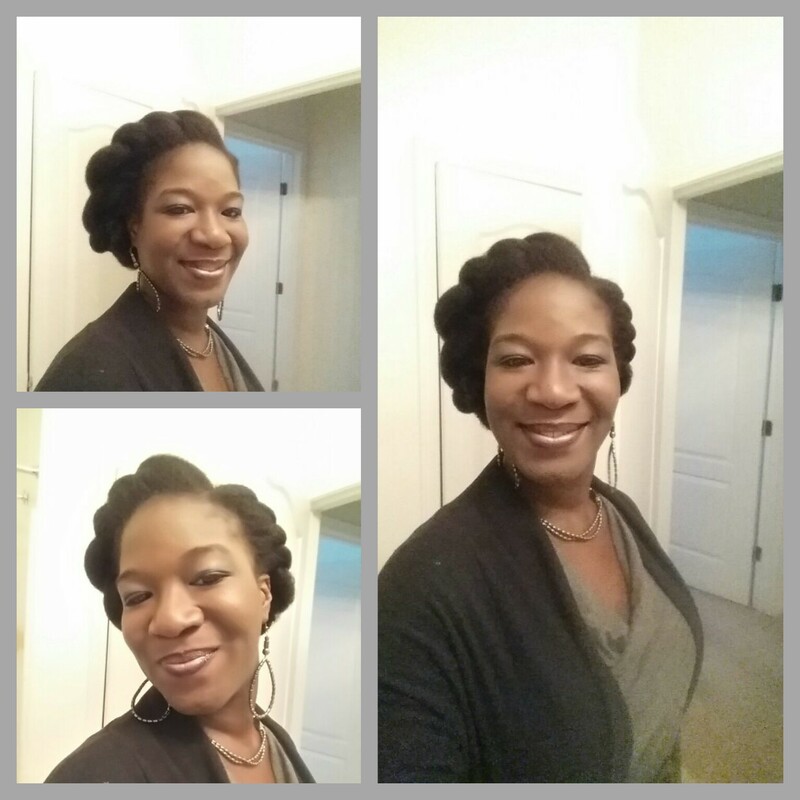 I used Eco Styler Olive Oil formula to do the flat twists and 2-strand twists. 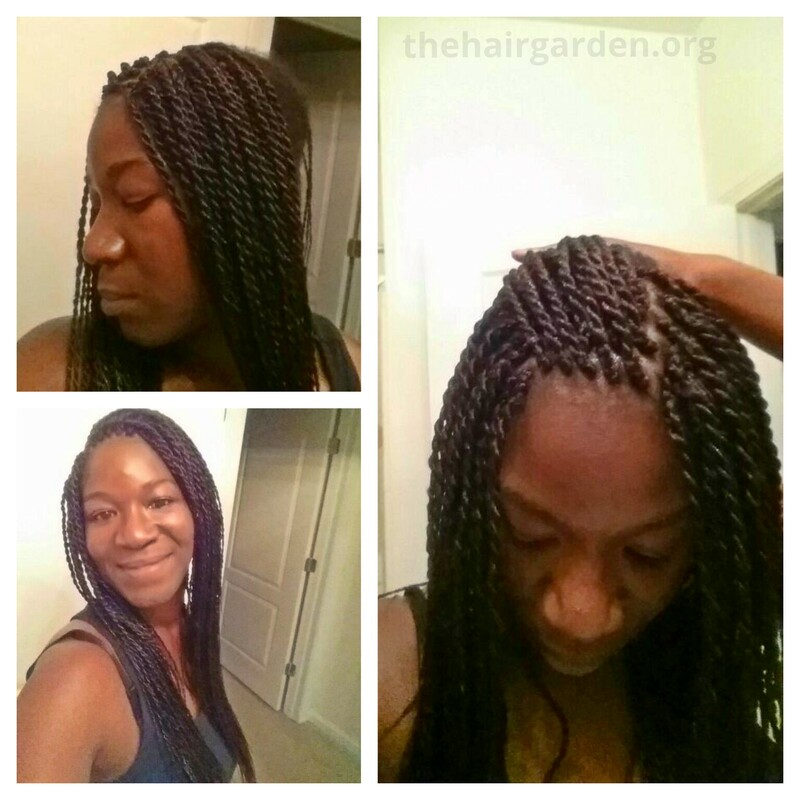 The 2-strand twists on the ends were woven into a loose braid and pinned at the crown. 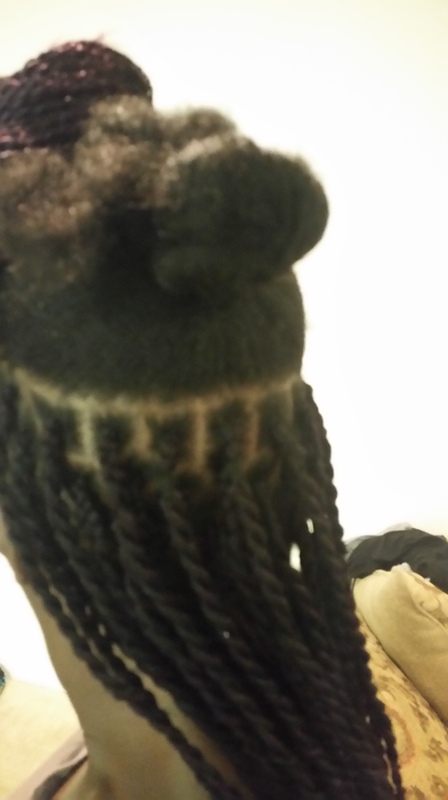 There are a few flat twists to the side so she can have some hair framing her face without being in her face. All she has to do is cover this hairstyle at night either with a satin bonnet or a scarf. The style can last her 2 to 3 weeks. 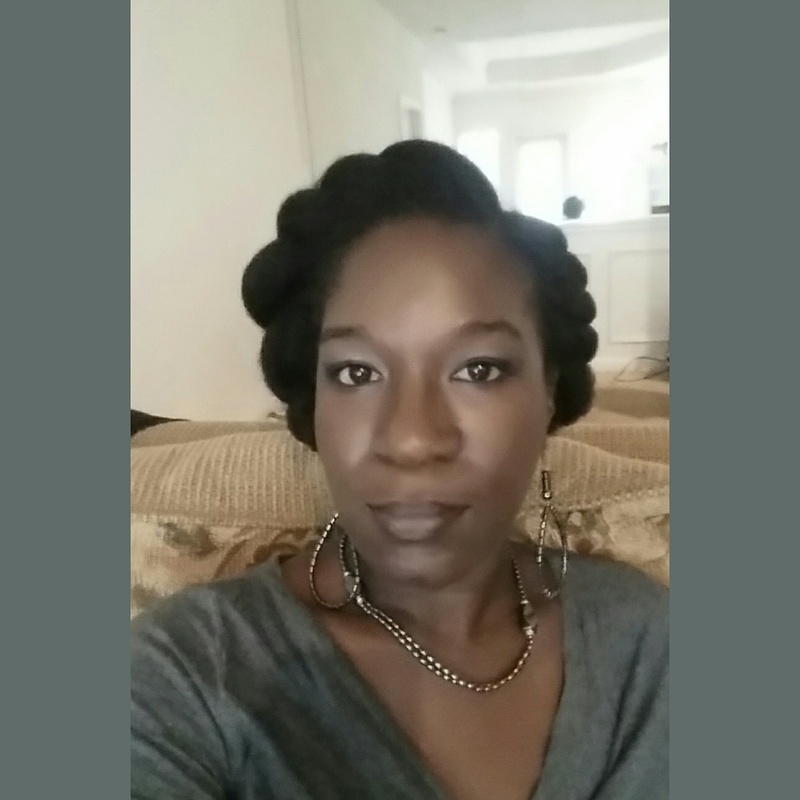 Author AphropuphsPosted on May 9, 2015 Categories Hair Care, Natural HairstylesTags afro hair, afro hairstyles, natural hair, natural hair flat twists, natural hair styles, natural hair updo, protective styles for natural hair, two strand twists8 Comments on Flat Twist Updo!